Yesterday I attended Maths conf 17; my 2nd maths conf and it was just as brilliant as my first. Maths conf is the most valuable maths CPD that I have taken part in. At my first Maths Conf in Manchester I met some other maths teachers the night before at the pre conference drinks, I then spent the Maths conf 15 with these people and followed each other on twitter. It was great to see that they were also attended Maths Conf 17 and so yesterday I met back up with these teachers and spend the Maths conf with them again. The people at the conference are really friendly so don’t be afraid of going on your own; like me you too could also make friends with people at the conference. What was lovely about yesterday was that the day kicked off with maths speed dating so if you had come to the conference alone this would be a great way to meet a few people and exchange some excellent teaching ideas. We were asked to find another teacher in the room, sit down with them and in 2 minutes talk about a resource that we use in the classroom. Once the two minutes was up the other person had 2 minutes to explain their resource. Once both partners had explained their resources you found another person in the room to repeat the process with. Through this activity I sat down with 5 other teachers and was given 5 different ideas. Some ideas shared was how one of the teachers broke down factorising quadratics into several different sections and focussed questions on each of these areas in turn; a game entitiled dangerous 7s in which 2 dice are used. Each student starts standing up, the two dice are rolled and each student recueves that many points (unless a 7 is rolled). Students can then bank these points by sitting down or can remain standing and continue to collect points. If a 7 is rolled howoever and some students are still standing then they lose all points for that round. A great game about probability and one I am sure the students enjoy. Another idea was to present a problem solving question (this one was an image of a trapezum in top of circles) with vital information missing. The students in silence then have to write down questions about what information they think they need to know. The teacher can then decide if the question needs to be answered and the idea is that the vital information is soon given via the students questioning. 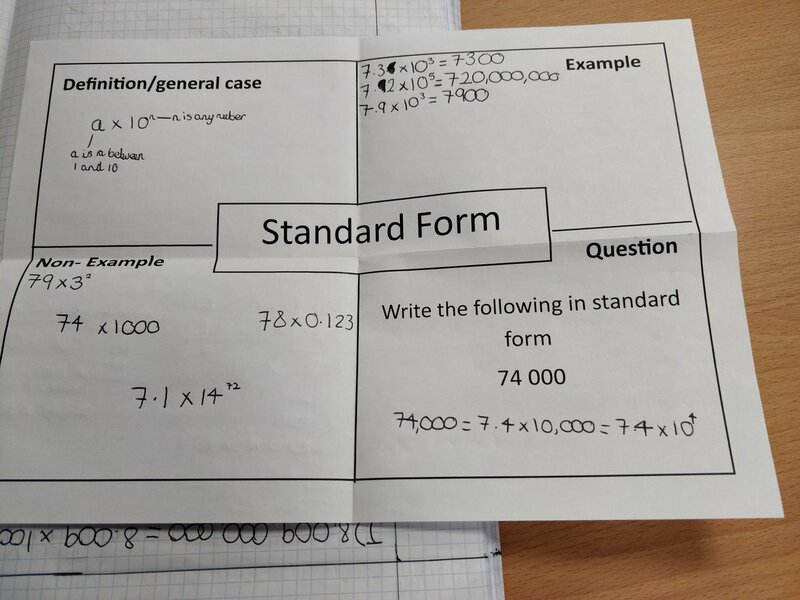 I was told by the teacher who shared this that the first time they did this the students didn’t come up with that many questions but on the second time round they did ask a lot more questions. The first session I attended was literacy in mathematics. The session kicked off with us being given mathematical dingbats that we needed to solve. These were a great way to introduce key words or to keep key words that students have already learnt at the forefront (not to mention a bit of fun). Jo did say that she uses these as starters and the students do enjoy them. If you want to use them in your lessons simply google ‘mathematical dingbats’ and there will be plenty out there to use. Jo then introduced us to five golden rules of literacy in Maths found at http://www.resourceaholic.com/2015/09/gems40.html. It is so important that we model good literacy in our lessons and encourage use of correct terminology by ensuring that we use it as well. A good example from Jo was that if a he answer is -3 and the student says ‘ the answer is minus 3’ instead of correcting in a negative way we can easily say ‘that is correct, the answer is negative 3’. There are lots of resources on MrsHnumeracy, I definitely recommend that you spend some time taking a look. Jo told us that towards the exam each week or each lesson she has the ‘word of the week’ by missrodders at the side of the board to keep the students familiar with the key words. Missrodders has produced approx 60 words which can be found at https://ideasfortheclassroom.wordpress.com/2017/07/15/classroom-display-maths-word-of-the-week/. If you want some starters that focus on key words then transum have plenty. They may not be the easiest to navigate from the website but if you google transum mathanagrams or transum voweless then they come up straight away. The questions on transum are still free but the answers are not so you can still use their resources. These activities have 5 levels of difficulty so can easily be differentiated for classes. I am assuming you have heard of elf on the shelf? Well, what about the mathematical version? That’s right, this is pi on the tie. There are LOADS of these that you can access at https://padlet.com/tessmaths1/elfonashelf. Some of them will have to be used with 6th formers due to the key word but there are plenty you can use with all key stages. These are great fun and a fantastic way to once again get the students thinking about key words. Some other excellent resources that Jo recommended and uses with her students are word wheels (tes.com/teaching-resources/word-wheels-for-maths), mathematical versions of 4 pictures 1 word, teachit maths scrabble tiles and wordsearches. Mathematical key word wordsearches can certainly have a place in the classroom. Jo recommended creating a wordsearch with the key words of the topic and then using this as a starter. Instead of the students crossing out the words they should highlight them and this can be stuck into their books. Doing this now gives the students the correct spellings of the key words and they should refer back to this throughout the topic of the correct spellings. These are a great way to get students to really think about the word and have a true understanding of the concept. Another way to do this would be to give the students the definition, chararcteristics, examples and non examples but hold back the key word and ask the student to state what the key word is. The other way to use this is to give the students the key word and then get them to complete the sections of the Frayer model. Overall, session one was an excellent session with lots of excellent ideas and a lot to try out in lessons. The second session I attended was focussed on the AQA papers from summer 2018. There was a slight shift in entries for tiers with 45% entered for foundation and 55% for higher which was a -2% from the previous year for foundation and a +2% from the previous year for higher. Overall, it was thought that teachers had made good decisions on entry of tier. You can see that in every paper (except F3) at least one student did achieve full marks in the paper and at least one student achieved 0 marks in each paper. The higher box plots would suggest that students found paper 1 the most difficult of the papers. This question was not answered too well on either tier. This could have been due to the nature of the question e.g. a negative fraction and the concept of range using fractions. Andrew highlighted that students do need to be prepared for novelty questions such as these. As a teacher it does make me question how often when I teach fractions do I use negative fractions both during questions and for answers. Also, how often do I use fractions when getting students to calculate averages and range. Andrew also went through comparisons on questions between those students who achieved a grade 5 and a 3 and then those that achieved a grade 9 and a 7. As you can see, 40.1% of students who achieved a 3 answered this question correctly and 83.9% of those achieving a 5 answered this question correctyl. This question sparked some comments in the room. There were some questions about what was the examiners actually wanting to test with this question; was they trying to test ratio skills or division skills. Andrew responded that in this question it was both. Had one part been an integer then this question would probably have appeared earlier on in the paper but due to one part not being an in integer it did appear later in the paper. The focus of this question is the part (b), is your answer sensible? There was conversation around whether had this question been asked the opposite way around would it have had an impact in results? Was it possible that some students couldn’t access this question due to the fact that they had used a calculator in part 1 therefore could not understand why their answer would not be sensbile. Had they been asked to approximate and then check on a calculator, would it have made more sense to students? Most of these questions from the higher paper were towards the end of the paper therefore it is not unexpected that these questions would produce a large difference between the grade 9 and 7 students as the questions towards the end of the paper would be expected to be more grade 9 focussed. This sessions provided some useful insights into the summer exams and was again worthwhile attending. One of the most memorable things for me from this session was how Julia described revision – revision is simply re-visioning the learning. It is seeing what we have seen before in a different way. Julia certainly agrees with many other teachers out there that the best way to revise maths is simply to do maths. She encourages her students to aim to revise for between 15 and 30 minutes per day. One thing that I thought was a brilliant idea was that Julia created a padlet with her students for their revision. She sat with her class and discussed what resources they like to use and would use for their revision and put them altogether in one place. By involving the students in this process the hope is they will actually use the resources. Her fantastic padlet can be seen here: https://padlet.com/tessmaths1/FRA. Julia suggested having these conversations in lessons with the students and also encouraging students who revise in similar ways to team up. Any revision that students can do is positive therefore they could revise on the bus with a mate on the way home. Doing this everyday for 20 minutes would soon add up to several maths questions completed. 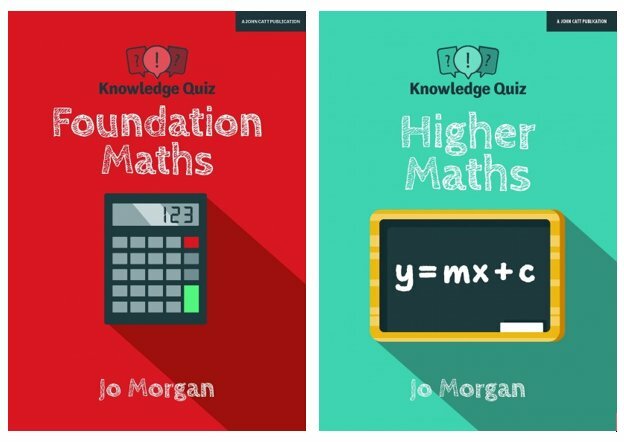 Another resource that was recommended was CGP guidance 21 killer revision tips which can be found at https://www.cgpbooks.co.uk/interactive_tips_exam. During this session Julia made a point that some teachers may or may not agree with: it is not our job to like a method, it is our job to help students re-vision concepts. If a student has failed maths after 11 years of studying the subject then it is our job as the teacher to help them see it in a different way. This could be by using fraction tables for adding fractions, using alternative methods to grid and column for multiplication such as chinese method and instead of using bus stop method for division writing the division as a fraction and simplifying the fraction down. If the answer isn’t an integer then this method should still help students get to a times table that they are more familiar with. One of the final points suggested was that if we can enable students to be confident with the four operations, FDP, ratio and scaling then we should be putting them into good standing for achieving a grade 4. This final session was more of a hands on session in which we were presented with problem solving questions and given some time to think about them. I really agreed with some of the points that Drew made: Maths is about resillaince. Problem solving is about building resilliance. We need to allow students time to explore concepts and give them time to solve problems instead of presenting a problem and then moving on 15 minutes later. No one put a time limit on solving Fermat’s last theorem. A website that Drew recommended was youcubed.org. I have used this website before but mainly looking at the growth mindset section. I have some of the growth mindset posters in my classroom. Youcubed.org have some excellent problem solving questions that you could use in lessons. Drew also referred to Alcuin of York who wrote a book of mathematical problems. The problems and answers from this book can be found at http://www-groups.dcs.st-and.ac.uk/history/HistTopics/Alcuin_book.html. As Drew pointed out, the joy of problem solving is the actual solving of the problem of our own accord and not attempting it for 10 minutes, giving up and then asking for the answer. Drew doesn’t always reveal answers (unless you DM him). I have used a similar tact in my classroom. I set problem solving questions as extension to my starters and keep the same question as the extension until someone in the room solves the problem. One of my students eventually went home one night spent the evening solving the problem and presented the answer to me the next day so that another question could be asked. Problem solving is about encouraging curiostiy and as always, building resilliance. Mathsconf17 certainly lived up to my high expectations. After how much I gained from mathsconf15 I had certainly bigged up mathsconf17 in my head. I was expectant of another excellent day of CPD and networking and the day certainly delivered. I highly recommend attending mathsconf, it is genuinely some of the best CPD that I have received. Do not worry about going on your own as everyone is genuinely really friendly and LaSalle do a great job of ensuring there are plenty of opportunities to network during the day. I am so pleased that I decided to attend mathsconf15 as it has opened up a whole new world of resources and ideas. What are you waiting for? Look at the dates for the next few maths confs and get yourself booked on; you will be pleased that you did.